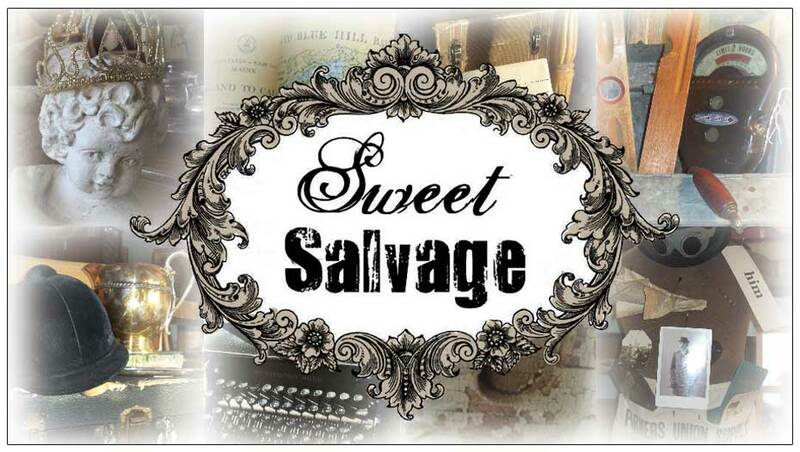 Sweet Salvage's Raw and Re-Find event is quickly approaching February 16th-19th. Fabulous has entered my door. All great examples of how to re-purpose, reuse and reclaim treasures from the past, while enjoying them in today's living. Another fantastic advantage of incorporating unique vintage items is the lighter foot print placed upon our planet. Also, let's not forget the awesome value of having a great piece that no one else does! Smiles :D.
I am very excited for the Sweet Salvage's February contest "A Sweet Before and After". To enter the contest, upload your favorite before and after photos of a transformation you have made to a vintage piece or to an entire space in your home. Upload your work to the Sweet Salvage on 7th ave Facebook page. Please follow along and look at other entries. Click the "like" tab on the entries you enjoy. On Wednesday, February 15th, the five photos with the most "likes" on Sweet's Facebook page will be given early VIP entry in to the Raw and Re-Find Event February 16th. Isn't this fun? To kick off the fun, I have decided to share with you a photo of yours truly. The Sweet Gang is often asked questions about the process they do ever month to make me so beautiful. Well friends here is my before. This photo was taken January 22nd after the last show. Amazing right? Get those cameras out and start clicking, we have some fun to do.